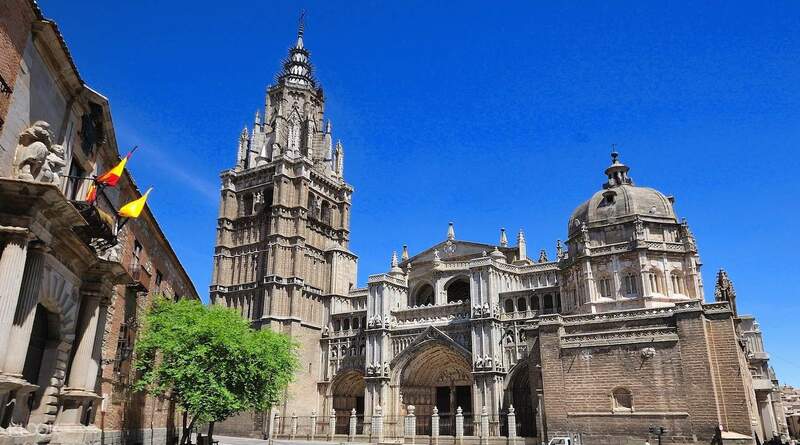 Venture into the gorgeous cities of Madrid and Toledo through this time and money-saving tour, which combines two half-day tours into one. You’ll begin the tour by meeting up with a bilingual tour guide, who will regale you with stories and commentary concerning all the highlights you’ll visit in both cities. You’ll first explore the city of Madrid and stroll around its most popular plazas and open spaces. You’ll even get to pass by towering landmarks such as the Ventas Bullring and the Santiago Bernabéu Stadium; both can house tens of thousands of people. After wandering around the city, you’ll be given almost 3 hours worth of free time where you can continue to discover Madrid and have lunch. 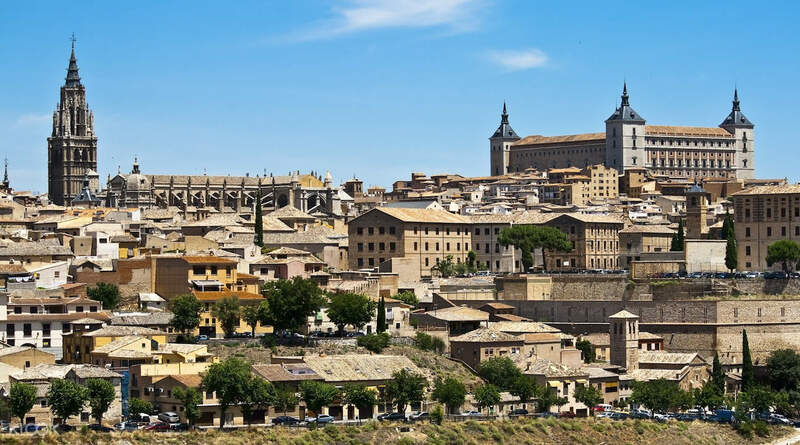 After using up your free time, you’ll proceed to meet up with the guide again, and you’ll travel to picturesque Toledo and have the opportunity to take a lot of panoramic snapshots of the city and its sites from breathtaking views. You’ll also explore the consecrated spaces of the Synagogue of Santa Maria la Blanca, the Mosque of El Cristo de la Luz, and the Church of St. Tomé. You’ll also have the opportunity to look at the legendary painting ‘The Burial of the Count of Orgaz’ by El Greco. 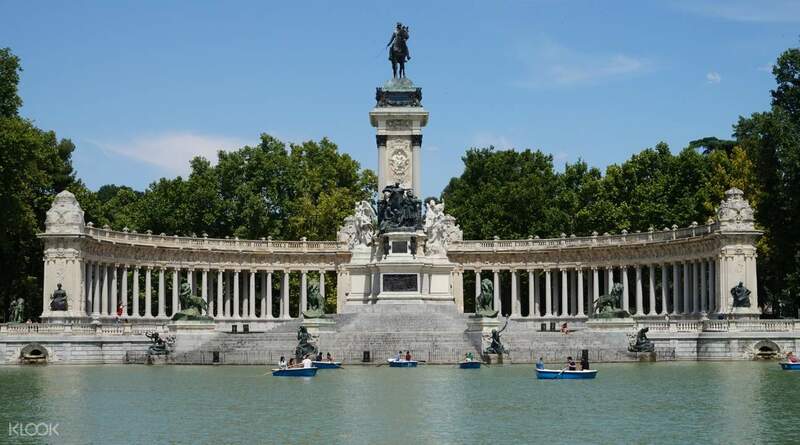 If you’re going to spend few days in Madrid but want to get the most out of your Spain trip, then this is definitely the tour to take since it’ll give you a taste of two cities in one day. The Madrid tour is bad. We couldn’t listen what the tour guide said as it just likes she was talking to herself and mixed with little English and lots of Spanish, even that there was only one person who requests for Spanish. We couldn’t get off the bus for photo takings at many attractive spots. For those we could get off, it was not attractive at all. For the Toledo trip, we spend 1.5 hours to go and another 1.5 hours to come back. After we got there, we follow the tour guide walking across the old town area. There was no free time for us to take photos or walk around. No time for us to take photo with the beautiful castle and town. Just walking in a rush. Instead, the tour guide led us to a shop selling metal craft that we have no interest at all. The prices are sky high, not worth to buy for most of us. We have never agreed for adding such tour to the shop. This part already occupied over half hour of our tour. It’s just for the tour guide to get extra commissions at our cost of sacrificing our valuable time of sightseeing there in the old city, Toledo. Think about we travelled far away to there. This is the worst tour I ever joined!! The Madrid tour is bad. We couldn’t listen what the tour guide said as it just likes she was talking to herself and mixed with little English and lots of Spanish, even that there was only one person who requests for Spanish. We couldn’t get off the bus for photo takings at many attractive spots. For those we could get off, it was not attractive at all. For the Toledo trip, we spend 1.5 hours to go and another 1.5 hours to come back. After we got there, we follow the tour guide walking across the old town area. There was no free time for us to take photos or walk around. No time for us to take photo with the beautiful castle and town. Just walking in a rush. Instead, the tour guide led us to a shop selling metal craft that we have no interest at all. The prices are sky high, not worth to buy for most of us. We have never agreed for adding such tour to the shop. This part already occupied over half hour of our tour. It’s just for the tour guide to get extra commissions at our cost of sacrificing our valuable time of sightseeing there in the old city, Toledo. Think about we travelled far away to there. This is the worst tour I ever joined! !